We are fully qualified electricians covering all aspects of electrical installation, providing a number of domestic electrical services to private home owners and landlords. 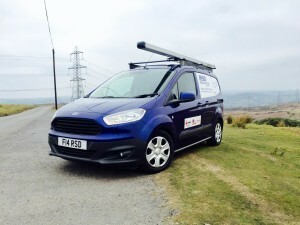 We offer outstanding service for all of your Electrical needs throughout South/West Wales. Our high standard of commitment to service is identical whether the assignment is big or small. We aim to leave you with complete satisfaction. We aim to create an atmosphere of great understanding with our customers, forging a close bond between us and them giving them an assurance of having received a reliable, impartial and professional service, having placed great emphasis on high quality and outstanding customer care. You can be confident our fully qualified, knowledgeable and certified electricians will undertake a wide-ranging variety of electrical tasks giving you the best solution based on your needs. A lot of the work we carry out comes from recommendations and repeat custom. Our price standards are highly competitive, with many suppliers at hand we source the highest quality products for the lowest cost. This enables us to have a cost effective solution for your electrical needs, whilst providing a bespoke service for those with a keen eye for interior design. We strive for a fast response time typically within one hour. We will be respectful and courteous at all times take great pride in our service, respecting your home by ensuring we are clean and tidy at all times. We pride ourselves on our reliability, competitive prices and undertaking the work to the highest standard. We offer a fast response time and 24 hour call out service. We are commited to providing a high quality service to all of our clients. When something goes wrong, we need you to tell us about it. This will help us to improve our standards. If you have a complaint, please contact us at reecedavies18@gmail.com with the details. We have eight weeks to consider your complaint. If we have not resolved it within this time you may complain to the Legal Ombudsman. We will then investigate your complaint. This will normally involve passing your complaint to our client care partner, Reece Davies, who will investigate the complaint. Reece Davies will then invite you to a meeting to discuss and hopefully resolve your complaint. He will do this within 14 days of sending you the acknowledgment letter. Within three working days of the meeting, Reece Davies will write to you to confirm what took place and any solutions he has agreed with you. If you do not want a meeting or it is not possible, Reece Davies will send you a detailed written reply to your complaint, including his suggestions for resolving the matter, within 21 working days of sending you the acknowledgement letter. about your complaint. Normally, you will need to bring the complaint to the Legal Ombudsman within six months of receiving a final written response from us about your complaint or within six years of the act or omission about which you are complaining occurring (or if outside of this period, within three years of when you should reasonably have been aware of it). For further information, you should contact the Legal Ombudsman on 0300 555 0333 or at enquiries@legalombudsman.org.uk.